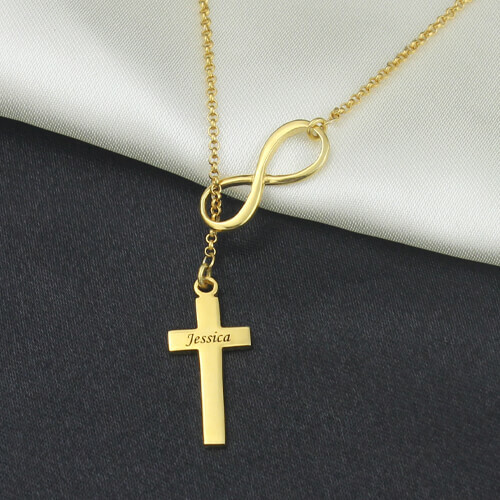 2 x 0.7cm/ 0.79" x 0.28"
Infinity Symbol Cross Name Necklace 18K Gold Plated - Infinity name necklace in gold plated - infinity symbol and cross. This necklace is worn asymmetrical so the cross hangs lower.lovely and classy! 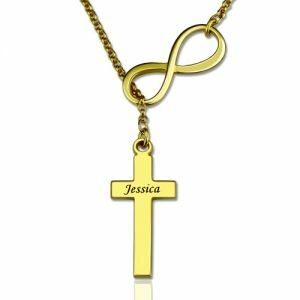 Engraved with a name on the cross to be personal!